Happy Mid-Autumn Festival! 中秋節快樂 🎑! 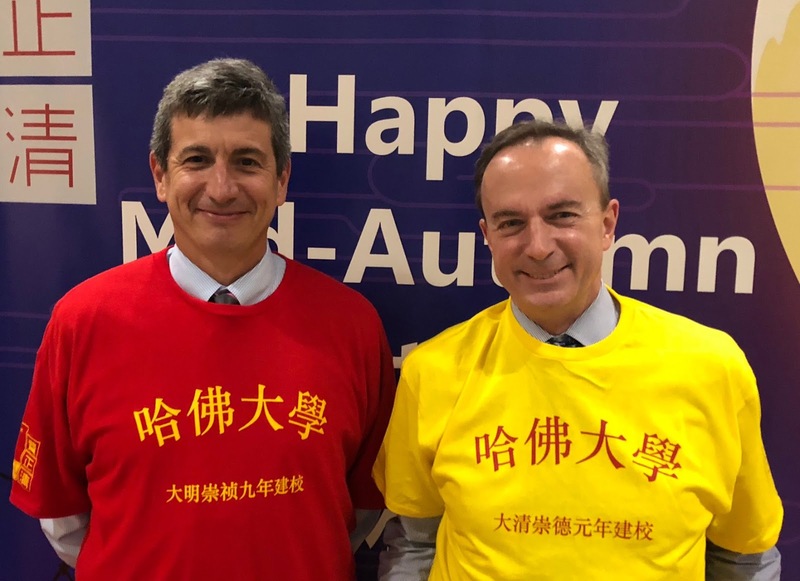 We celebrated with mooncakes and special-edition t-shirts marking Harvard's founding in 1636 as both the ninth year of the Ming Emperor Chongzhen and/or the first year of the Qing Emperor Chongde (modeled here by Michael Szonyi and Mark Elliott).